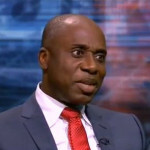 (AFRICAN EXAMINER) – The Action Democratic Party (ADP) has mandated the National Assembly both the upper and lower chambers to wade into the subsidy controversy and probe it. 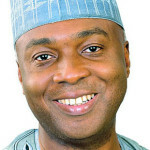 In a statement issued in Lagos on Saturday, by the ADP Lagos Spokesman, Prince Adelaja Adeoye, he said that the discrepancies in the subsidy claim has further created tensions, controversies and doubts in the minds of Nigerians calling on the Senate President Bukola Saraki to urgently set up a committee to look into the subsidy controversy. According to ADP, the current fuel scarcity that has left Nigerians in a sorry state, in this festive season, has revealed monumental fraud in the NNPC, through its involvement in secret payment of subsidy. This is of huge significance because, the Buhari’s government had told Nigerians that subsidy was removed in early 2016, the party said. 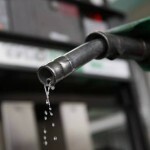 The party said further that, it could be recalled that in the wake of the present fuel scarcity, the APC government led by President Muhammadu Buhari, had blamed the problem on major oil marketers, whom it alleged were asking for an increase in the pump price of fuel. However, the oil marketers later countered the allegation, maintaining that their problem with the government, was far from the alleged demand for pump price increase; and went on to reveal that they were being owed huge sum by the FG in subsidy payment. 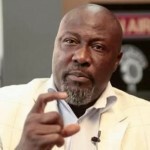 The revelation, immediately prompted an outcry from Nigerians who demanded to known what subsidy, the marketers were talking about, taken into account that the Buhari’s government had told the nation, in early 2016 that fuel subsidy has been removed, a development, which lead to the increase in pump price from N87 to N145. “We realised that we were left with only one option. This was to allow independent marketers and any Nigerian entity to source their own foreign exchange and import fuel. We expect that foreign exchange will be sourced at an average of about N285 to the dollar, (current interbank rate). 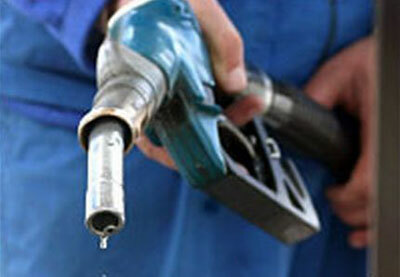 They would then be restricted to selling at a price between N135 and N145 per litre. What this meant was that Marketers were importing fuel and selling as dictated by the market forces, with little government regulation to avoid excessive pricing of the sales of fuel to the Nigerian masses. Also, Speaking with Nigerians in October 2016, in an interactive session in Berlin, Buhari said, “There are things that are happening, and if such had happened before there would have been major riot, like the removal of subsidy on fuel,” further confirming Osinbajo’s earlier claims. ADP said this new claim has further angered Nigerians who couldn’t figure how NNPC became responsible for subsidy payment and not the FG. More so that as an agency of government, NNPC can only spend money within the budget. Meanwhile, there has not been any budget for subsidy for two year running. Now to avoid the probing questions of Nigerians, NNPC GMD, Baru, while responding to questions at Aso Rock Villa, after the Friday prayers, said that Buhari authorized him to be paying subsidy for fuel. It is interesting to note that NNPC is a parastatal of the FG, which spends money as budgeted for in the annual national budget. For two year running, there has not been any budget for subsidy, because it has been removed from petroleum product; yet NNPC has been paying subsidy. The fraud here is, NNPC is paying subsidy the government said doesn’t exist anymore, and doing so outside the budget. The practice has been that every money collected by all FG agencies and parastatals are mandatorily paid into the TSA, from where approval is given for withdrawal, by same agencies in line with their budget. What this means is that NNPC has either not been paying into TSA or has been short paying. We must remember that just recently, a House committee discovered the sum of N50bn in NNPC secret account, outside the TSA. The NNPC GMD Baru, was quick to say, Buhari order him to put the N50bn into such secret account. This is besides the $25bn contract it awarded without due process, which he also claimed, Buhari authorised. ADP said it is calling on the Nigerian Senate to do the needful by investigating the NNPC’s subsidy fraud, to save Nigeria from the monumental fraud supervised by GMD Maikanti Baru and his team at NNPC happening in the open and to the knowledge of Buhari, the party concluded.